Recently a friend asked me how he could support me this lifetime? This question took me by surprise as I have never had such a question posed to me. It took me several days and his constant inquiry for me to answer. I am a very independent person and I have a false belief that states I can do it all myself. I really had to think about this quest, how can someone support me, this was such a foreign concept to my mind that I spent three days angsting over all the possibilities. It was a great question yet I had no answer! I am used to walking alone in this life and all of a sudden someone wants to support me? What? What would this mean, would I have to give up something to allow someone’s support? My own continuous inquiry of this question was relentless and took my mind in so many different directions. On the second day after breakfast, he again asked and said he needed an answer…I responded out of nowhere that I needed a teacher and a mentor. I wondered where this request came from, but it made perfect sense as I have been looking for a teacher and mentor who could love me for who I am yet expand me beyond all dimensions. The remainder of the day I thought about what this could possibly mean….it has been a dream of mine to find a mentor who understands me, sees me and could help me break all illusions. I kept thinking that I had finally found someone who could fulfill this role…or did I? This kept roaming around in my mind and then I heard a bold voice say, why didn’t you just ask for a God, that is what you are really looking for. What? Geeze…. where does this stuff come from, I wondered? A God, I asked? A vision flashed through my mind of a time when we were creator Gods right alongside of the one and only God. Then my ego came in and disrupted the beautiful sight and feeling of a love so pure and light that it brought tears to my eyes, and I heard, like anyone can fulfill that role! The next morning I told my friend I really needed a God….his expression surprised me and he commented with, “finally!” We did not speak of it again. Much to my surprise, this quest was not focused outside of myself. Rather, I spent the rest of the day daydreaming about what it would be like to be free from this shell of a human body as that is my representation of what being God means. No constraints of language, or energy form, or food, or water, or anything. Just pure freedom, capable of deep experiences of love and peace yet incapable of experiencing lack. I know at a conscious level I deserve to be loved and I deserve to love …..all at the level of which I desire. Even though I live in a world of duality I should not have to experience the duality if I choose, after all this is humanities free will. If I choose not to experience duality and the illusion that I am separate from my Godself then I deserve a God. I laughed to myself as if that could even be a possibility in this so-called reality and wondered what I really meant by I deserve a God? I wondered what life would be like if I experienced myself without holding anything back: freedom, deep love, peace, joy…….the emotions kept coming alongside the tears. There was a deep understanding in every single cell of my existence that the God I seek resides within me, because only I can fulfill such a wish. My connection with my Godself is my one truth of all the worlds. I need my god self because I am the one true person who knows me, sees me and understands me. Only my connection with myself can fulfill why I need a God, because once I have that, I am connected with God, whole in God and one with God! Angela, I love what you wrote. Deep thought and great inspiration to allow oneself to entertain your thoughts. Thank you for sharing! Amazing. Still letting it sink in, in a beautiful way. As my goosebumps settle down my heart embraces the wisdom you have shared. 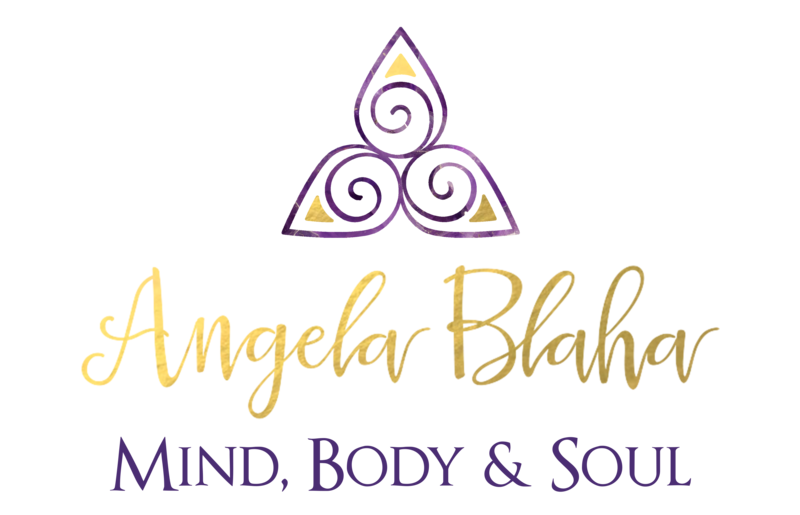 I find myself full of gratitude and love for the opportunity to be mentored by Goddess Angela Blaha. ? Beautiful Spirit Angela… you just awakened to what you always knew. We rejoice! Now go deeper. Great Spirit expressed in the beautiful man who let those words flow ….very awesome. All One. Woman, you’re so loved! And I love that you shared this. Thank You for sharing your story. The journey within and realization of our divine nature are the beginning steps to awakening to our oneness with All That Is. The ego’s shell has to shatter for our true light to shine forth.